Massada eyewear proclaims an affirmation: that rules of face shape are flexible, that your eyeglass style is defined by your character, by your self-confidence and bravery. Your eyewear should be a profound sentence of individuality: not an admittance to the rules mandated by countless mass-productions before you. Embrace yourself, your strength! The Massada style asserts no limits. Designer Kate Lupinsky — South African native and current resident of Europe — has based these distinct styles on classic glasses shapes. Think browlines or cat eyes — 40s, 50s, 60s, the age of early Hollywood. Nerd frames, librarian-chic. Each frame is an exclamation on your face — not meant to blend in, become a part of your face-disguised. Rather, the frames are assets to your outfit, a piece of utilitarian jewellery, perhaps. Lupinsky and her team, when discussing their brand, promote a concept of the culture of the frames: that one must derive “personal gain from culture, content, thought, picture, dialogue, idealism, and reflection.” This is synonymous with their further inspirations: their inspiration in art, in theatre, in film. As seekers of a better, more artistic, beautiful way of life, they choose to host many clients in these fields: these fields invoking curiosity and passion. Those who express joy, are totally “submerged in journey toward understanding” — these artists, actors, and directors find Massada an inspiring frame design company — one worthy of fashion pursuit. Lupinsky, like many designers, started out a solo act: a kid of twelve, she was designing in sketchbooks, honing her own look. In university, she studied Industrial Design in the Academy of Fine Art: thus working with many different elements: graphic design, lighting, furniture — taking her sketches off the paper and committing them to 3-D. When she couldn’t find a proper pair of eye frames for her style and desire, she met a man who made his own, tinkering in a workshop in the UK — and thus Massada was born: the ultimate search for the perfect, individualized glasses. Lupinsky verifies that while the bag, the luxurious pair of heels or the best dress of the season is important for your fashion sense; the best thing to hone your style is your pair of eye frames. Everything else changes day-to-day — everything else doesn’t define you. 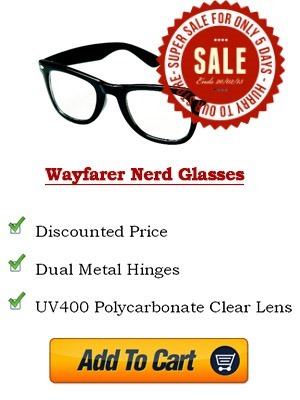 But choose your glasses carefully: be it those horn-rimmed glasses, those nerd-chic dark-framed hipster glasses. They will define who you are. They will be what your companion sees when he looks you in the eyes, sees your face and the shape of your glasses proclaiming your individuality. They are important. The intricate Massada styles boast individualized, outrageous names: names representative of this artistic pursuit. The Dr. Strangelove style, for example, is named after the 1964 Stanley Kubrick film. Like the film — a whimsical tale about a very serious nuclear bomb — the glasses take on a playfulness but don’t drop the chic intelligence a pair of fashion-forward hipster glasses warrant. They are made with a vintage Mazzucchelli acetate material directly from Italy — the quality is insane, diligent and exact. The Sleeper style takes on a more owl-formation: they are completely round and created with the Mazzucchelli Shell. They are not formed with a shiny, false lacquer like so many other brands. Instead, they have that individualism, that small-company, boutique feel about them. They invoke that search for the artistic way, that quizzical look. The Solaris frames invoke a more futuristic sense: they are broad, more shield-like, and come in three colors: Tokyo tort, dark tortoise shell, and black. The Solaris also adopt the classic cat-eye frame at their edges, thus allowing a marriage between the old and the new: an adoption of old ways in this futuristic style. They also consist of the Italian Mazzucchelli Acetate. Each of the frames are hand-painted in Poland — a country that never adopted the faster ways of painting — the mass production. The painters handcraft each pair using traditional, vintage, sophisticated colors. The hand-painting, the individualized attention, reminds the consumer that this is not a run-of-the-mill agency. Lupinsky sees no reason to expand. She wants to continue the eyewear design journey with attention to detail and attention to the individual’s explanation of her style. Give good thought to who you are, what your style desires of you: let Massada translate eyewear for your daily artistic journey.